Social media has enabled both consumers and brands to interact and share content on a public stage. As a result delivering excellent customer service on social networks is more important than ever for brands all over the globe. According to several analyses the majority of people expect brands on Facebook and Twitter to respond at least within a day. Since it isn’t that easy to fulfill all customer expectations on social platforms, social customer support requires guidance, planning and, of course, measurement. 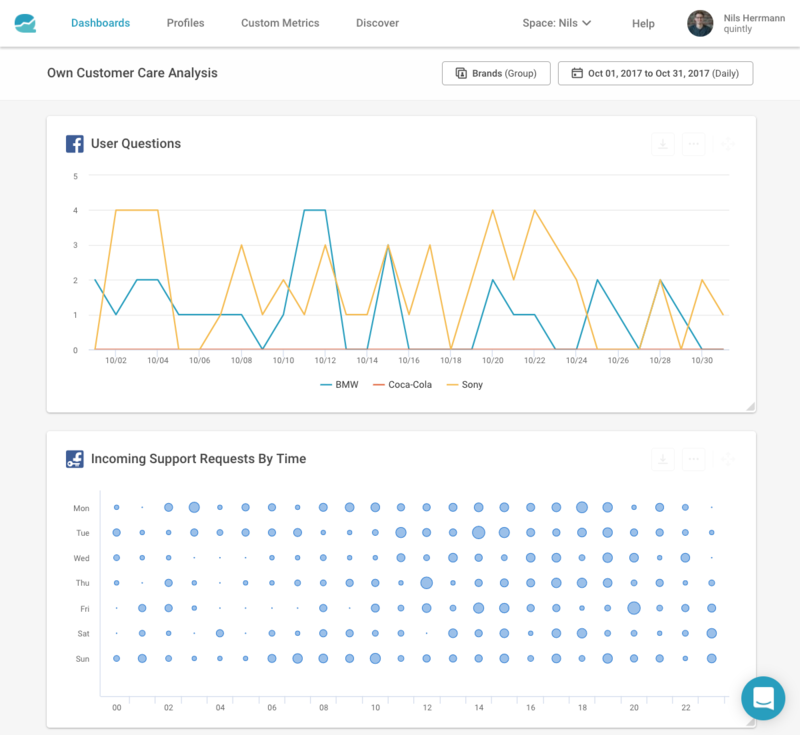 quintly provides a variety of metrics for measuring the success of customer service activities. 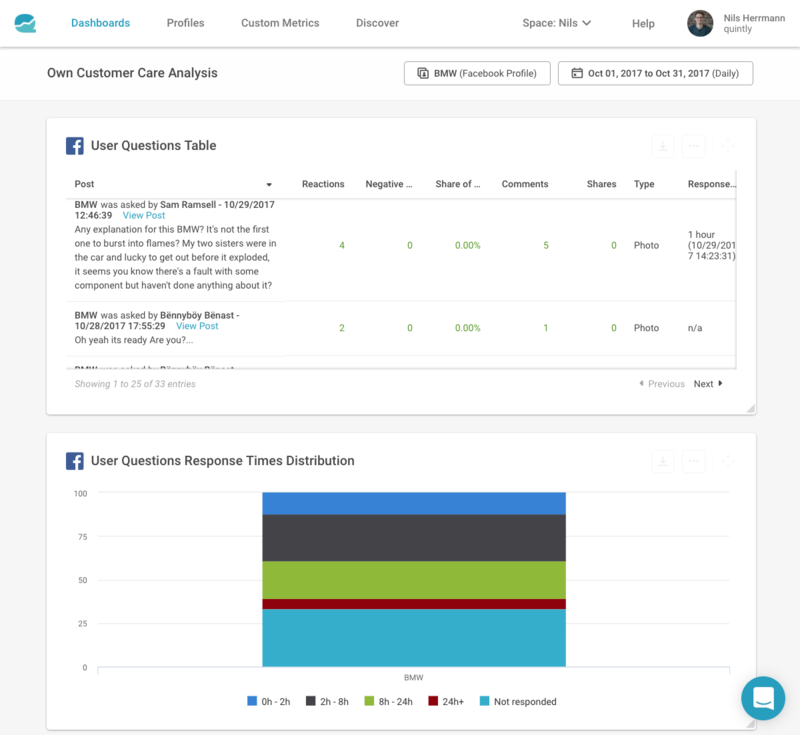 Get to know the response times and time distribution of your own customer care efforts and compare them with all your competitors. Learn what your audiences is writing on your channels, further if and what they are posting on competitor profiles.